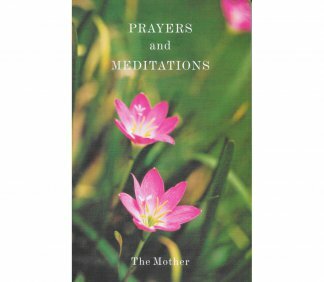 This book contains a selection of the Mother’s conversations that belong to two distinct groups. During the first period, from 1929 to 1931, the Mother spoke informally with a small group of Ashramites who met her every week, answering questions about life and Yoga. During the second, from 1950 to 1958, she spoke to a larger audience, the Ashramites and students who attended her evening classes at the Ashram playground. The topics range from the spiritually elevated and philosophically complex to the practical and mundane. The conversations, which cover a broad variety of subjects in considerable depth, taking up many issues that are rarely treated elsewhere, offer an uplifting vision of human existence. In the Mother’s view, we are destined to outgrow our limited egocentric personalities, discover our true selves, and ultimately create a divine life on earth. Topics include: `The Human Species in Evolution’, `Reincarnation or Rebirth’, `The Integral Yoga’ and `The Supramental’, among others. Following the excellent and well received biography of the Mother entitledThe Mother: The Story of Her Life (New Delhi: Harper Collins Publishers, India, 2000), the author, Georges Van Vrekhem, has now compiled a selection of the Mother’s conversations during the years 1929-31 and 1950-58. While the conversations of the Mother have been available in French and English for a long time, the present collection, due to its focus, brevity and comprehensive nature stands out as particularly noteworthy. 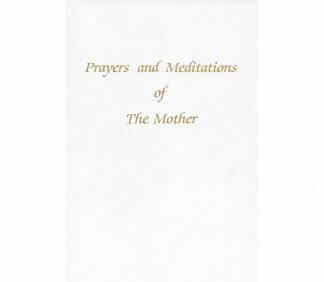 The sub-headings themselves indicate the extraordinary range of the topics the Mother handles as well as the depth of her vision both material and spiritual. 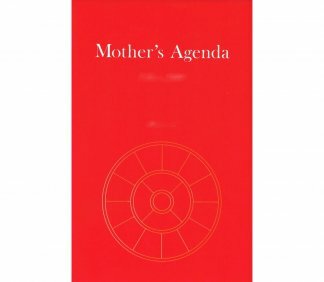 The twenty sections included demonstrate the clarity of the Mother’s thinking and the unique manner in which she could invoke the great storehouse of the world’s wisdom to explicate some of the most baffling aspects of human existence. Along with this, there is also the treatment of common problems of day-to-day life. The canvas itself is wide and impressive: `The Human Species in Evolution’, `Plants and Animals’, `The Gradations of Existence and Their Expression in the Human Being’, `The Psychic Being or Soul’, `The Hostile Forces’, `Illness and Death’, `Reincarnation or Rebirth’, `Free Will, Determinism, Karma, Grace’, `Religion and Spirituality’, `Science and Materialism’, `Occultism’, `Day-to-Day Life’, `Art’, `Education’, `Yoga and Meditation’, `The Integral Yoga’, `The Supramental’ and finally `The Present Situation’. Nothing seems to be missing here! It is hard to sum up the Mother’s approach in the conversations. There is a pattern no doubt in the manner she approaches a topic. Sometimes, it could be a response to a question asked by a member present. Alternately, she could read a selected passage from Sri Aurobindo, such as “A Transitional Species” as outlined on page 97, before offering a commentary. However, whatever pattern we find would undeniably be superficial. She never fails to surprise! There is a great deal of simplicity and directness of vision, a fundamental apprehension of the Truth in all its complexity and profundity without the interventions of the so-called intellectual or ratiocinative faculties which more often than not confuse rather than enlighten us. Above all, the Mother is a great conversationalist and a wonderful raconteur of stories. In the best manner of the storytelling tradition-of East and West-she knows, like the master storytellers, how to show and persuade rather than be didactic through sermons and homilies. Instead, she reminds us of the wonderful parables of Christ and the Buddha: simple, lucid and poetical! “Not to be discouraged! Despondency leads nowhere. “One must never make rules. “Every minute one must endeavour to apply the highest truth one can perceive. It is much more difficult, but it’s the only solution. Finally, to benefit the most from reading this valuable book, The Mother’s Vision, one should read a few passages at a time, in a state of quiet contemplation when one is alone or in the company of like-minded aspirants. One imagines oneself to be seated in the Ashram playground around the Mother with a table lamp on, and the picture of the undivided India in the background. The book, thus, will not be `read’ and `finished’ as we normally do. It will be a spiritual exercise that we can undertake again and again so that the questions we had always asked could be answered and the difficulties encountered in the path of life overcome. 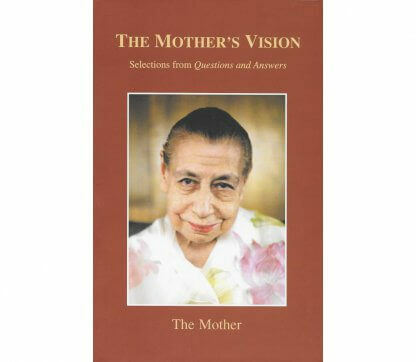 The Mother’s Vision, in brief, is a significant recent addition to this genre. It is a book that should find a place in the shelf of every sincere seeker after the spiritual life. Dr S. Mohanty is Professor of English Literature at the University of Hyderabad.